Certainly one of the most annoying and well-known discomforts of pregnancy is morning sickness! If you’re going to experience it, morning sickness usually begins not long after you first become pregnant and lasts until the end of the first trimester. It’s typically considered one of the most distressing symptoms, particularly if it continues throughout your pregnancy. Morning sickness can occur at any time of the day. It can be mild or severe and includes everything from feeling nauseated to severe daily vomiting. It’s an annoyance, but it shouldn’t interfere with your everyday activities. 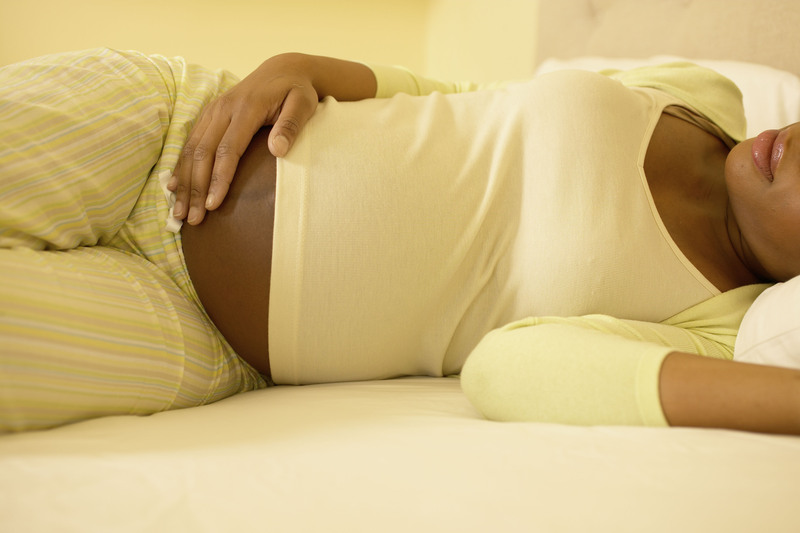 For most pregnant women, morning sickness subsides by the 12th week of pregnancy. For others, a break doesn’t come until around the 20th week, and a very small percentage of women experience it throughout pregnancy. While you definitely don’t enjoy it, morning sickness is actually considered a good sign of a healthy pregnancy as it’s triggered by the rising levels of the pregnancy hormone hCG. Simple strategies for combating morning sickness include eating saltine crackers upon rising, waiting to brush your teeth until you’ve been up for awhile or immediately after eating any food, and spacing apart your eating from any drinking. If none of these things work and you’re losing weight, vomiting more than once or twice a day, or the vomiting is interfering with your normal daily activities, then your healthcare provider may be able to prescribe anti-nausea medications for you. Remember that the benefits of taking any medication during pregnancy should outweigh the risks, so don’t be too quick to pop a pill; try our whole list of suggestions first to see if you can find a solution that works for you. On the bright side, morning sickness nearly always gets better, and you can then begin to enjoy the rest of your pregnancy! If morning sickness continues or worsens, then your care provider may be able to prescribe anti-nausea medications for you. What is the newborn heel stick and why is it done?